Your name may be on a bottle of Coke, but is it in the BOOK of LIFE? 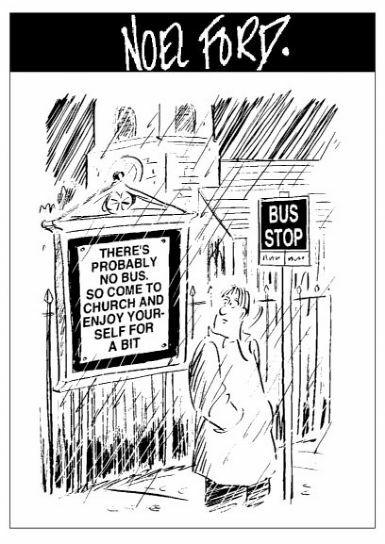 I remain quite fond of this response to those "There's probably no god" adverts placed on buses a few years ago. Those buses were such a gift to both sides. The one I liked from a while back was "God accepts knee-mail." Sadly a local butcher no longer puts up his witty comments in the window. He used to use a temporary spray paint to put various comments in his main window, and some of them were works of genius, but I haven't seen any new ones for nearly 10 years now.